Residents of Norfolk Island look set to regain their air links to New Zealand from June, when privately-held Norfolk Island Airlines plans to start flights to Auckland using a leased Boeing 737-300 from Nauru Airlines. The island will lose the only nonstop flight to New Zealand from May 21, when Air New Zealand stops flying to Australian territory located about 900nm east of Sydney in the Pacific Ocean. However, flights will be restored from June 17, when Norfolk Island Airlines starts a once weekly service operating via a Auckland-Norfolk Island-Brisbane and return routing on Saturdays. The airline’s founder Gregg Prechelt says New Zealand represents about 20 per cent of the Norfolk Island economy so having nonstop air services was crucial for not just passenger traffic but also freight. He is also hoping to arrest a decline in tourist numbers to the island, which has fallen from 40,000 to 26,000 in recent years. “Norfolk Island is a strong package holiday destination,” Prechelt told Australian Aviation in an interview. “Probably 80 per cent of the passenger numbers travelling to the island are holiday traffic. Under the charter agreement with Nauru Airlines will supply the pilots and cabin crew and manage all the ground handling, as well as aviation and regulatory services. Ticket sales commenced on April 13. Norfolk Island Airlines previously operated some freighter services between the island and Australia, again with leased Nauru Airlines 737s. In December 2016, Air New Zealand cited declining passenger demand was behind its decision to drop the nonstop flights from Auckland. The Star Alliance member is maintaining flights to Norfolk Island from Brisbane (once weekly) and Sydney (twice weekly) operated by Airbus A320 equipment. The airline is paid a subsidy by Australia’s Department of Infrastructure and Regional Development to operate those services. “The Auckland-Norfolk Island route is not commercially sustainable so it makes sense to focus our operations out of Australia, where there’s good potential,” Air New Zealand general manager for networks Richard Thomson said in December. In January 2016, the federal government said Air New Zealand had been selected as the preferred provider of air services to Norfolk Island from the Australian mainland following the latest tender process. Prechelt, a Norfolk Island local who splits his time between there and Brisbane, said he would keep a close eye on Air New Zealand’s pricing on Brisbane-Norfolk Island to ensure the subsidy is not used to push the newcomer off the route. “Because we have a relationship with Nauru Airlines and we have a strong relationship with the package wholesalers in the industry here in Queensland we can compete effectively with Air New Zealand on the Brisbane to Norfolk run without the subsidy,” he said. “But we will be watching the subsidy very closely to make sure that the subsidy doesn’t in effect subsidise anti-competitive behaviour in fares. Further, he hoped Norfolk Island Airlines’s arrival on the Brisbane route would encourage the Australian Government to end the subsidy scheme when the current contract expires to save taxpayers’ money. “The Commonwealth has said that the reason they are spending the taxpayers’ money is that no one will fly there,” Prechelt said. 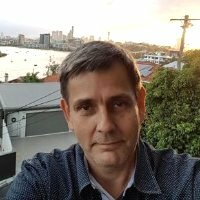 “Because we are in the market – and we are quite happy to do the Sydney route as well without the subsidy – it will be difficult for the Commonwealth to turn around and say it wants to continue a contract when someone is flying there. 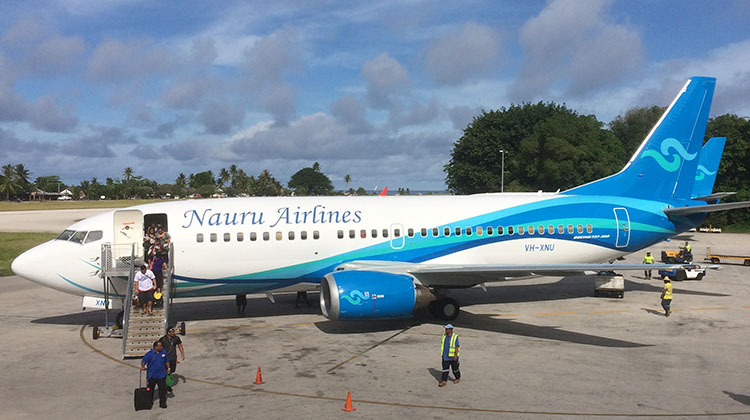 Prechelt said the Nauru Airlines 737-300 would be configured to carry 113 passengers across business, premium (extra legroom economy seats with the middle seat free) and economy. All fares include at least one checked bag. He said the 737-300 was the ideal aircraft for the route, given its had fewer seats than Air New Zealand’s 168-seat A320s. “The only reason Air New Zealand pulled out of the Norfolk Island market from New Zealand was the aeroplane is too big,” Prechelt said. Should growth expectations be met, Prechelt said a second weekly flight on Tuesdays for the peak season starting either at the end of September or at the end of March 2018 was on the cards. Norfolk Island was formerly a self-governing Australian territory, with locally elected representatives managing its local affairs. However, in 2015 Canberra brought in sweeping changes that resulted in reduced autonomy, with the Legislative Assembly shut down and replaced by a regional council. Also, New South Wales provides some state level services. Surprised Air North hasn’t looked at flying their Embraers to Norfolk island and Auckland. Would be an ideal sized aircraft. Big market for fresh food from Wellcamp and darling downs! is OZ to Norfolk a domestic or international route ? If international, there are some better options now available for international flights. The E-Jet family would seem ideal for this route. The LR variants of all of them have the legs to make the entire hop across the Tasman if they can’t land at NLK. Even the 135 LR and 145 LR/XR have the range but not sure of the ETOPS rating. About time air nz had some competition, not to often do we get a discounted fare from brissy. Give it to em n.a. First step for Norfolk is fix the local economy – local tour operators are treating the tourists as fools. They are misrepresenting what they are offering and over charging . Most cafes are closed when tourists arrive! For an economy that relies 98% on tourism, things have to change. A number of local businesses voiced similar views on our recent visit. Norfolk Island is a beautiful destination. Safe (very safe) and friendly. It is also very isolated, and tiny, and beautiful. Being so isolated and tiny (8 x 5 km with almost one-third comprising national park) only limited facilities are available such as cafes opening only 6:30am-3:00pm but coffees etc. are available till late at the four hotels; the only supermarket closes at 6:00pm, but two convenience stores are open 7:00am-9:00pm; there is no public transport (not really needed as there are private taxis and many accommodation houses have Courtesy bus runs; most holiday packages include air-fare, accommodation, hire car, phone and a guided, half-day orientation tour. Norfolk Island is also a welcoming, small community. As a small, isolated community it cannot be compared with Bali, Hawaii or any of the other large island or nation destinations. There are many activities and things to do – or not do if you want to just unwind, read, dine, wine, have a round of golf, a hit of tennis or squash, roll a lawn bowl or two. we were recently offered a 163 seat 737 (2 class) for AU$6000 per hour, with food, drinks, all inclusive, but not including taxes & charges of a personal nature. The Nauru 737s have a lot less seats & are getting very long in the tooth. Suggest that the extra 50 seats, might have been almost free, included catering & in a much newer aircraft. This offer comes with a price tag; there is a 25% fare increase from Air NZ prices last year. You have to accept or travel for 8hrs on Air NZ through Australia. The island is a wonderful destination for a relaxing holiday but visitors must be aware; 90% of produce is imported onto the island making it an expensive holiday, I appreciate Norfolk Island airlines picking up the route from Air NZ and understand perishables will still have to be freighted onto the island at great cost, but the reported decline in visitors to the island necessitates a need to look at ways of reducing costs not increasing them. as for Wellcamp – the opportunities for that airport are just staggering – here’s another one! Tourism numbers would need to be addressed first (need someone like Donald Trump to buy the island first) and include a nice new supermarket to handle the incoming goods. oh bugger, I just typed out loud – hope Woollies aren’t reading this!!! but seriously folks – Norfolk is a little slice of heaven on earth and it’s a shame to see it in the state it’s in (we saw it many moons ago when it was just perfect). Dave is referring to travel AKL/BNE/NLK which does equate to around 8 hours. BNE/NLK is indeed only around 2 hours.